Our faulty dietary pattern and lifestyle is giving rise to Gestational Diabetes Mellitus (GDM) which is affecting approximately 7% of pregnancies every year. The common symptom of GDM is carbohydrate intolerance during pregnancy. Maternal and foetal complications can be reduced by early diagnosis and management of GDM. Excessive weight gain and pre-eclampsia are some of the problems that patients with GDM may suffer along with caesarean delivery. Macrosomia, birth trauma and shoulder dystocia may affect babies of the suffering mothers. Those children may also develop metabolic derangement, respiratory distress syndrome and polycythemia along with being obese and suffer from Type 2 diabetes. Gestational diabetes usually develops between the 24th and 28th week of pregnancy. It is not necessary for a pregnant woman to have had diabetes before pregnancy for her to have gestational diabetes. It, however, increases her risk of developing Type-2 diabetes later in life as well her baby’s. The risk of complications for her and her baby also increase during pregnancy and delivery. Fatigue, blurred vision, excessive thirst, excessive need to urinate and snoring are some of the symptoms that may occur in a woman suffering from gestational diabetes, though they are rare. The hormone that help a woman sustain her pregnancy may cause insulin resistance in the body, which in turn causes gestational diabetes if the blood glucose levels rise too much. Over-weight women who have high blood pressure, are more than 25 years of age, have a family history of diabetes, are expecting multiple babies, have has gestational diabetes earlier, have had unexplained miscarriage or still-birth, have been on glucocorticoids, have PCOS or any other health problem associated with insulin resistance, are all at risk for gestational diabetes. Gestational diabetes that can be controlled through diet alone is known as Class A1 whereas when insulin or any other oral medications are needed, then it is known as Class A2. Women with gestational diabetes should include healthy carbohydrates, sufficient proteins and healthy fats in their meals which they should eat every two hours. It is not entirely possible to prevent gestational diabetes. However, it can be managed and controlled by having healthy eating habits and exercising regularly. 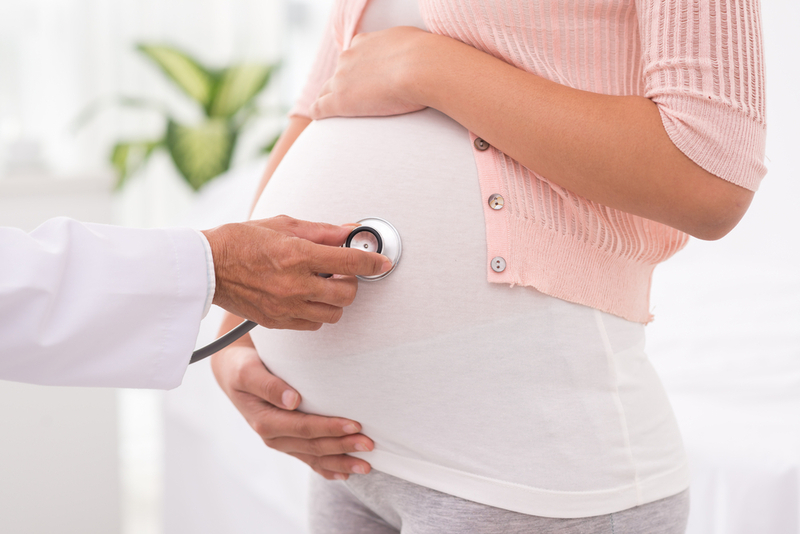 Over-weight women or those with a close diabetic relative or women with previous macrosomia or large for gestational age baby or polycystic ovarian syndrome need to be screened at their first ante-natal visit for GDM. Other women in the normal risk group need to be screened too whenever possible as GDM is found to be prevalent where least expected too. Further diagnostic tests should be conducted if the results are positive after 1hour-50 gms oral glucose challenge(GCT). However, even one of the abnormality should not be ignored for complications may arise at a later stage. MATERNAL AND FOETAL COMPLICATIONS – Hypertensive disorders and pre-eclampsia can happen to women with GDM. They may also have non-gestational diabetes after the delivery. Women with marked hyper-glycemia, obesity and GDM before 24 weeks of gestation area at a higher risk. These women usually deliver through operation either caesarean or vaginal. Children born to mothers suffering from GDM develop foetal complications which may lead to diabetes, obesity and high concentrations of lipids and amino-acids in childhood to adulthood. DIET AND EXERCISE – Changing the diet to include carbohydrate foods with low glycaemic index and exercising regularly is first step towards managing GDM. INSULIN–Glyburide is very effective in controlling GDM for those needing insulin. However, it is contra-indicated for those who have an allergy to sulfa. Those taking glyburide or insulin should check the dosage for excess of it can lead to hypo-glycaemia. METFORMIN – Women with PCOS are given metformin during pregnancy for it reduces the risk of miscarriage and development of GDM. MANAGING DELIVERY – Diabetic women with insulin dependency were induced labour after 38 weeks of gestation which reduced the risk of GDM. POST-PARTUM FOLLOW-UP – It is most important to continue screening patients with GDM because with a drop in insulin requirements after delivery, they are at a high risk of developing Type-2 diabetes. Insulin resistance can be minimized by exercising regularly, maintaining normal weight and avoiding drugs that induce insulin resistance. It is only by bringing about change in lifestyle to a healthy routine which includes more physical activity and making sensible food choices, that diabetes can be prevented. Variation in blood glucose levels result in a lot of foetal and maternal complications. Early diagnosis in women with GDM through screening can prevent lots of problems at a later stage. Healthy, nutritious diet, regular exercise , human insulin, insulin analogs and glyburide are some of the recommended changes and drugs for a trouble-free pregnancy. Post-partum follow-up is essential so that the women do not fall prey to Type-2 diabetes. Immediate conception should be avoided through suitable contraception because hyper-glycaemia can lead to congenital malformations. 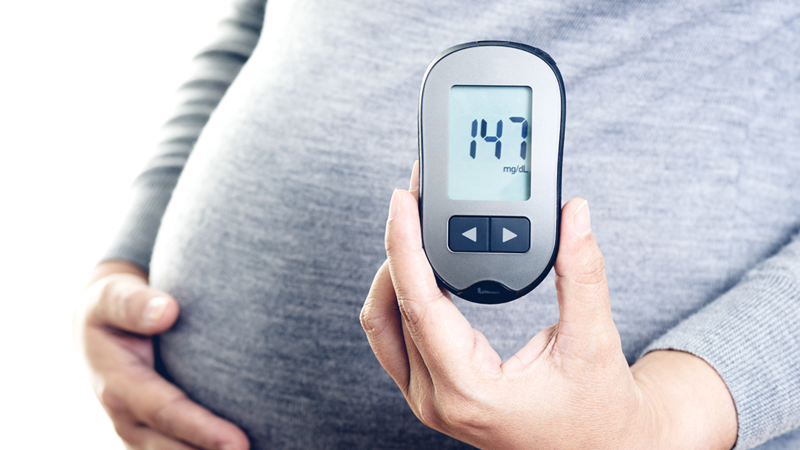 MANAGING GESTATIONAL DIABETES – When a pregnant woman’s body is unable to cope with the extra requirement of insulin, it results in high blood glucose levels or gestational diabetes. It can, however, be managed by monitoring blood glucose levels, eating healthy nutritious meals and exercising regularly. This is necessary to avoid complications during pregnancy and delivery. Most pregnant women are able to manage diabetes by eating healthy meals and exercising regularly. However, a few women may need insulin injections all through the pregnancy and these can be discontinued after the baby is born. These injections are safe for the mother and the baby when taken under medical supervision. Women with gestational diabetes are at an increased risk of developing Type-2 diabetes when they are older and therefore, they should be tested for the same every 2-3 years. A large baby, miscarriage and still birth of the baby are some of the worst case scenarios that can affect the baby of the mother suffering from GDM. Therefore, the mother should take all the precautions recommended by her doctor during pregnancy. It is important to keep blood glucose levels under control and to do it, this needs to be monitored at regular intervals so that it may be effectively managed through healthy eating, regular exercise and insulin injections or metformin, if needed. A pregnant woman needs to eat healthy, nutritious meals at all times for her own as well as for her baby’s well-being. Small portions of food eaten often so that a healthy weight gain is maintained is the ideal way to eat. 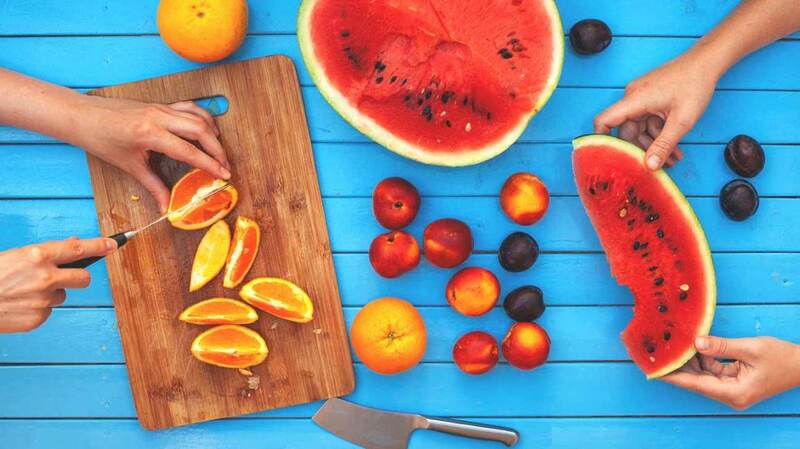 Include foods that have variety in flavours, looks and nutrition so that it is fun to plan and eat. Carbohydrates, calcium, iron, folia cis are some of the nutrients absolutely essential to consume by a pregnant woman along with foods that are high in fiber and low in saturated fat and sugar. It is advisable to take help from a dietician who will help in making healthy food choices. Drink as much water as you possibly can so as to keep yourself hydrated at all times. Regular physical activity is necessary for everyone to be fit and specially for women suffering from GDM for it helps in reducing insulin resistance. Women should continue exercising regularly and try to maintain healthy weight after the baby is born so as to reduce the risk of developing Type-2 diabetes in later life. Women suffering from GDM are encouraged to breast-feed the new-born baby like all new mothers.